Leader of the Opposition apparently announced scoreline in the middle of a Brexit debate. 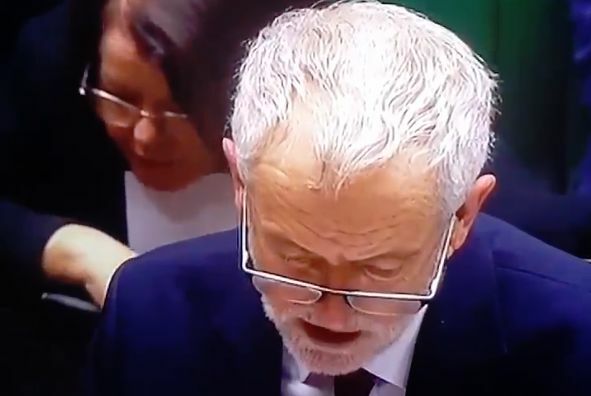 There was a moment of confusion in Parliament on Tuesday when Leader of the Opposition Jeremy Corbyn apparently announced to the House of Commons that, “Arsenal won 3-2”. The Brexit debates are set to continue after MPs backed calls to give themselves a direct say in what happens if the prime minister’s deal with the European Union is rejected next week. Discussions, though, took a sudden turn when the leader of the Labour Party appeared to randomly blurt out the 3-2 scoreline. I was in the chamber at the time and that’s exactly what I heard and turned to my neighbour who thought I had gone mad! But all was not as it seemed, as Corbyn is probably talking about Article 132 of the draft agreement on the withdrawal of the UK from the EU. In any case, Arsenal won 4-2 in their last game, beating Spurs at the Emirates on Sunday.